A new SmartROC T40 from Atlas Copco goes to work: Contractor CB Destrukce’s CARE agreement means that it does not have to worry about the availability of the machine. Czech drilling and blasting specialist CB Destrukce is celebrating its 25th year in the industry this year following a record 2015. Founded in 1991, the company made its name in small scale quarrying, later moving up to large-scale mining of raw materials for the construction of roads, highways, railways and pipelines. 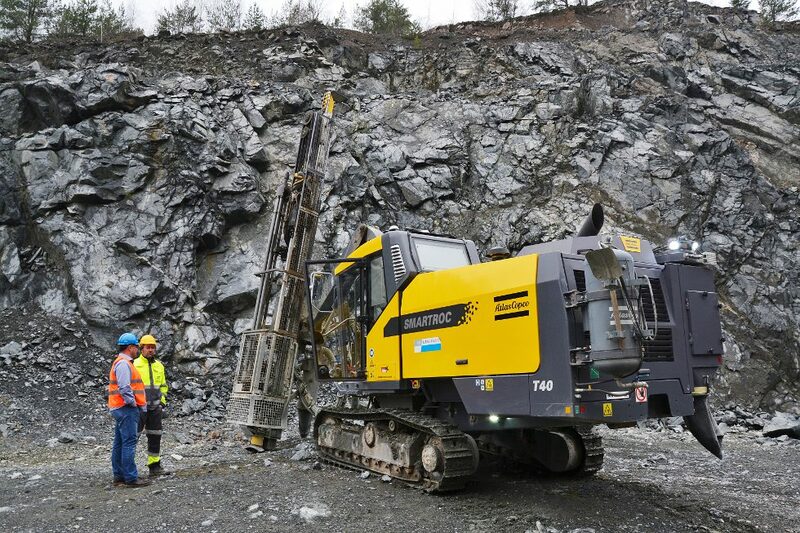 Last year, it recorded a record 300 000 drillmeters – its best performance ever – and has expanded its equipment fleet with two new SmartROC T40 rigs, backed up by an Atlas Copco CARE agreement – a combination that helps the firm to live up to its brand promise of quality and reliability. Since the CARE agreement has been in place the company says there has been no downtime and every job has been carried out on time. “That’s what differentiaties us from our competitors,” he says. But the most important aspect for the company is the fixed cost. “Every month we pay a fixed price for the contract and we don’t have to worry about any unpredictable failure which might cause a big problem for our customer and for us,” Šebor explains. “We calculate this as price per drillmeter and it enables me to plan for the current year as well as for the following year. Another big advantage, he says, is peace of mind. “We don’t have to worry about a rig breaking down in high season, causing huge losses for the customers, and for us. The contract gives me reassurance that the rig is under control, that all preventive maintenance is done at the right time. Šebor says he is convinced that the results achieved thanks to the CARE agreeement has enhanced CB Destrukce’s reputation in the market and helped the company to win new contracts. He continues: “It is not only a case of being reliable. When the machine arrives at the quarry, nobody wants to have to start repairing it, as some of our competitors do. “The biggest fear for a contractor is that the operation has to stop because that affects productivity. Everything starts with the drilling and if it is not done on time, blasting, loading and everything else has to be postponed.